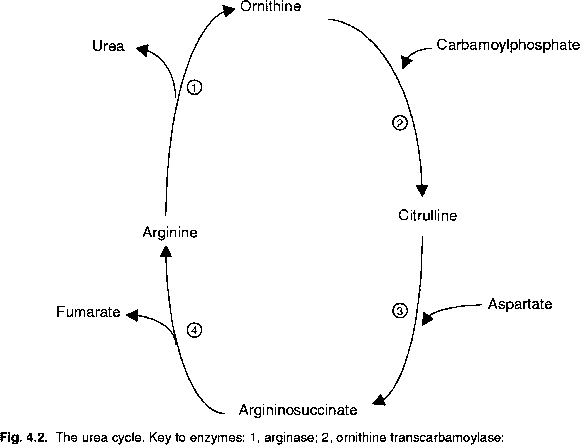 The digestion of amino acids in the large intestine is the result of microbial activity. The disappearance of amino acids from this part of the digestive tract would not be necessarily a problem if disappearance represented absorption of amino acids. However, several studies have clearly demonstrated that protein digestion through microbial activity does not contribute to maintenance or tissue accretion since the absorbed end products of microbial fermentation are ultimately excreted in the urine (Zebrowska, 1973; Wünsche et al., 1982; Mosenthin et al., 1992). In conclusion, due to microbial metabolism of nitrogenous material both from exogenous (dietary) and endogenous sources, only a relatively small proportion of the amino acid excretion in faeces is directly related to the amino acids recovered at the distal ileum. According to Low (1982), amino acids of dietary origin appear to account for less than 10% of the total amino acids at the faecal level, the main part consisting of microbial and endogenous sources. Depending on diet composition, between 50 and 90% of total nitrogen in faeces can be attributed to bacterial nitrogen assimilation (Poppe et al., 1983; Kreuzer et al., 1989; Sauer et al., 1991). There is general agreement that in most cases apparent ileal digestibility values of most indispensable amino acids are lower than corresponding digestibilities determined at the faecal level. For example, cystine, threonine and tryptophan usually disappear to a considerable extent in the large intestine (Zebrowska et al., 1978; Sauer et al., 1982; Mosenthin et al., 1994). On the other hand, microbial net synthesis for methionine and sometimes for lysine has been reported in some studies resulting in lower faecal than ileal digestibility values (Sauer et al., 1982; Tanksley and Knabe, 1982; Sauer et al., 1991). Thus, depending on the amino acid and on the feedstuff, digestibility values obtained by the faecal analysis method overestimate (which is usually the case) or underestimate those obtained by the ileal analysis method. Therefore, it is now recognized that the ileal analysis method should be considered as an improvement over the faecal analysis method which was originally developed by Kuiken and Lyman (1948) for rats and which thereafter has been used extensively in studies with pigs (Dammers, 1964; Eggum, 1973). A comparison of apparent faecal and ileal amino acid digestibilities in raw and heated soy flakes illustrates the inadequacy of the faecal analysis method for measuring amino acid digestibility values (Table 10.1). The difference between faecal and ileal digestibility values of amino acids in raw soy flakes averaged 30% whereas the corresponding difference in heated soy flakes was approximately 7%. Although faecal digestibilities indicated that heated soy flakes were a better nutrient source than raw soy flakes, the magnitude of this difference was substantially underestimated (Vandergrift et al., 1983). It is obvious that apparent ileal amino acid digestibilities are a more sensitive approach to describe the nutritive value of feedstuffs than faecal digestibilities. The poorer the protein quality of feed, the more important ileal digestibility values are compared to faecal digestibility values. Convincing evidence that ileal rather than faecal digestibility values should be used in practical diet formulation for growing pigs was provided by Dierick et al. (1988). In this study the performance of pigs was related to digestibility measurements. There was a higher correlation between average daily gain and ileal rather than faecal protein digestibility (r = 0.76 vs. r = 0.34). In the same order, for feed efficiency (kg feed kg-1 carcass gain) the correlation coefficients were -0.87 and -0.65, respectively. In agreement with these findings, apparent ileal lysine digestibility coefficients were found to accurately indicate the amount of dietary lysine available for growth (Moughan and Smith, 1985; Schulz and Bohme, 1994; Rademacher et al., 1995). These results provide sufficient evidence that nitrogen absorbed in the large intestine does not contribute significantly to protein synthesis in growing pigs. difference between faecal and ileal digestibility values. merits of endogenous nitrogen and amino acid recoveries that allow for the determination of true ileal protein and amino acid digestibilities are discussed here.